Honda Civic, an adoring marvelous piece of ultra modern technology is my ride for the last 2 years. It’s like a privatized version of a sports car and if feel like driving a Ferrari or McLaren while driving it. Civic is Honda’s best selling product across the globe and Honda takes great care in updating its product line to meet the desired level of standards and the beauty is they maintain the same level of standards at the global level. Car looks extreme on style ground and is designed very carefully to give rider the experience of a F1 jet. It offers a beautiful combination of power, space, comfort, luxury and style all under one roof at their apex level. Civic comes fully loaded with the recent features and under the hood it is powered with revolutionary and hi-tech 1.8L I-VTEC 1799cc engine which is Peggy and delivers good 132 PS of raw power to take this giant like a rocket on roads. It’s a queen of speed and overtaking and racing is like a childish game easy to accomplish with 100% win. Tyres are broad and grips the road hard however the use of S rated tyres for a high speed sedan reduces its overall efficiency I was surprised when I get to know this and immediately replaced it how do Honda India can play with the lives of consumers to save a mere amount of 4000 bucks that’s the mentality the world’s famous manufacturers follow when they come to India. Overall it’s a best car I have ever driven which offers a great driving experience and that too in a good price that justifies the hard work Honda has done to develop it. The latest Honda Civic model received an awe-inspiring response, when it was launched in international car markets. 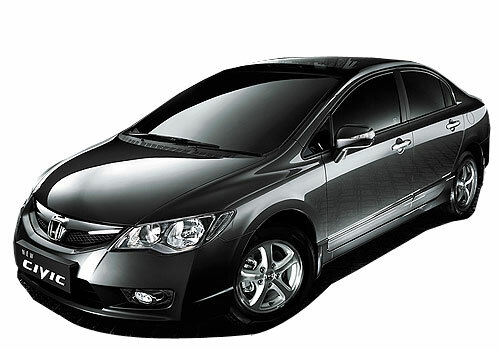 Honda Civic is a luxurious sedan with effective features.